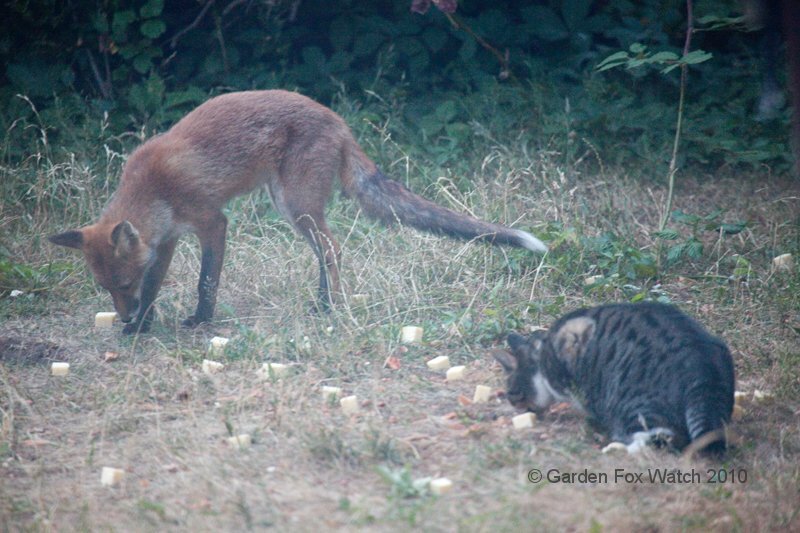 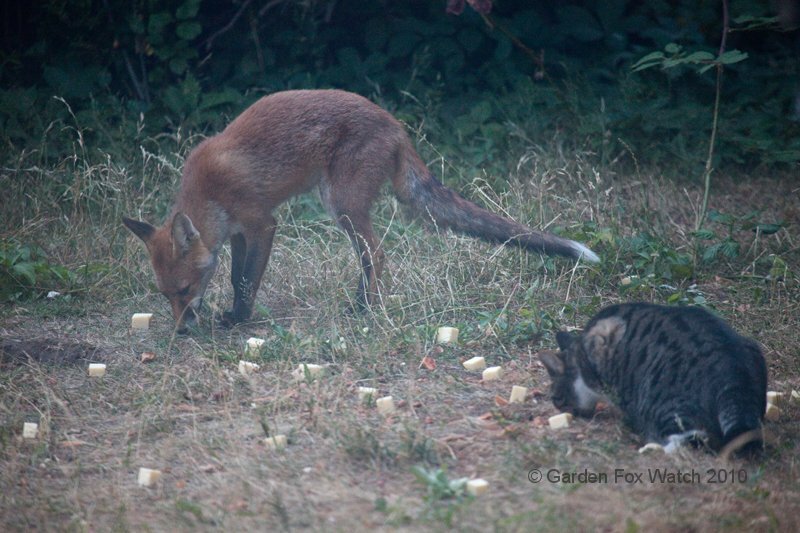 A couple of evenings ago I put out the food for the foxes as usual, although the mix was slightly different; peanuts and cheese, as usual, but also a half-pack of crispy bacon that had gone past its best-before date. 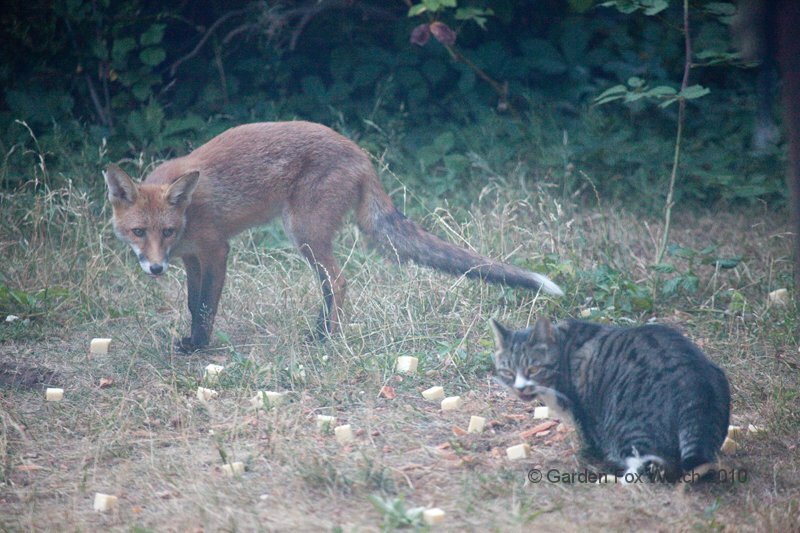 Apologies for the slightly lower quality of the photos than usual — the light was very marginal for the long lens and if I’d gone to get the tripod I think I would have missed the photos altogether! 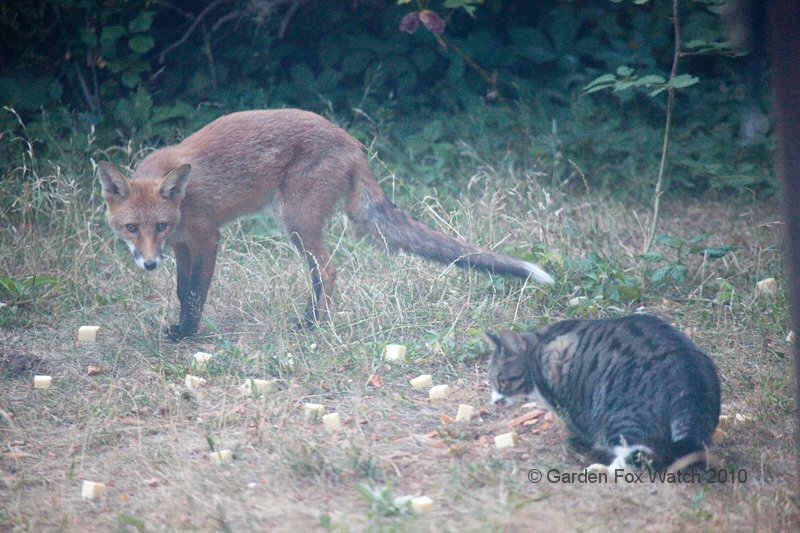 To give you some idea of the scale, the fox and the cat were probably no more than three or four feet apart. 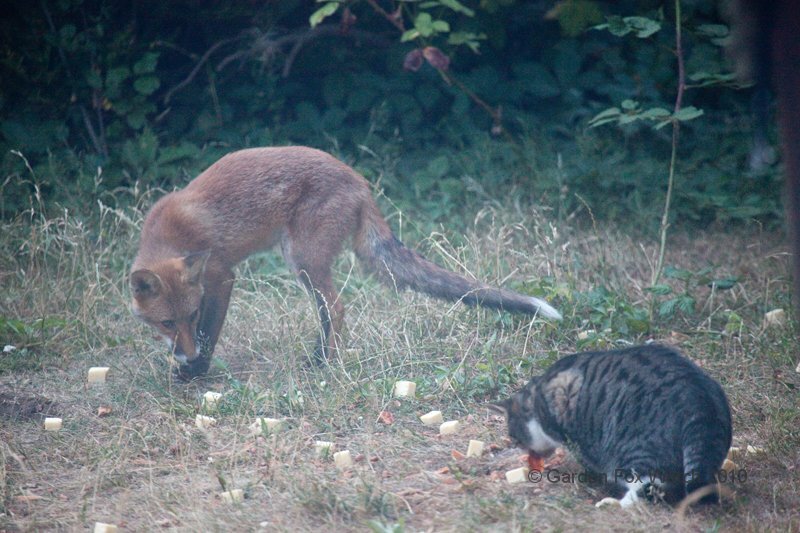 As usual, click on any photo to enlarge, click again to close it.